We all know we need something out of life. But we fail to understand that life is not the destination. It’s a journey and like any other journey, there are destinations. Goals are nothing but the destinations we need to arrive at, to move further in our life. As Lewis Carroll said – If you don’t know where you are going, any road will get you there! 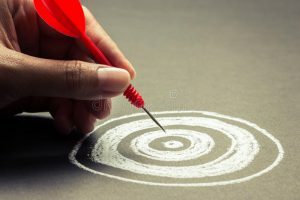 In this article, I will outline some strategies for setting Goals and this should give an overview of the kinds and categories of goals that we need to set for ourselves. Let’s not procrastinate setting goals for ourselves as Goals give us direction to move and we need to keep moving to progress. Personal Reasons – Feel the joy, love, respect for yourself and something that motivates you and you believe that things will work for you; that you can do what you want to do. Family Reasons – Think of someone who has been your pillar of strength, someone who believes in you. It is time you find a good reason to give back that love and a sense of gratitude. Short Range Goals – This is something that you wish to do today, tomorrow, in the coming week, in this month! Have daily, weekly and monthly goals as these are milestones that get you to your Long range goal – Your Dream. We all are mortal and have material wishes – beautiful home, great car and material pleasures. Make a list of all things that you wish to have and set a goal for those. Have a personal development goal for yourself – learn a new language, be a leader, be spiritual, be resourceful, learn new skills etc. This will help in developing your personality and make you feel good about yourself. Keep a journal with you and write those goals down. When you write them, you send out a signal to the universe that you are committed to your goals. You now have these goals on paper, to read them, to remind you of them and to go back to them every time you feel like quitting or when life knocks you down. You have to make plans and take action to make your goals come true. You can’t sit waiting for those goals to happen by themselves. Make a strategy and an action item to work towards your goal. In management circles, you often get to hear the term – BHAG. Have a BHAG – Big Hairy Audacious goal. Think of a goal that’s beyond your comfort zone. Everyone can achieve a goal that’s within their comfort zone and that’s what 90% of us do. We look for something that we are comfortable with, that we know we can achieve. Why aim for something that we can do, instead aim for something that is beyond our skill set, beyond our comfort levels and this will give us a feeling of achievement when we get to those goals. Move your goalpost and feel the pain, the pleasure of achieving those goals! Define your goals very precisely and believe in them like a child. A child has limitless potential until the age of 3 wherein their minds are not conditioned by parents, teachers and the environment. A child does not give up learning to walk even after umpteen failures of falling and hurting. They know nothing but to achieve their goals! Describe your goals by what you want and ask with all your intelligence and the universe and nature is all-giving and listening to you. Planning is important but believing in your goals however big they may seem, is much more important to succeed and progress fearlessly. Remember, you have your goals set, you have made all your plans, you believe in your goals and you are on your way to achieve them… but remember; you won’t get everything you want. Don’t be disheartened, don’t give up. Nature does have a unique way of answering our queries. Like I said earlier, life is a journey and there are plenty of destinations that we pass through. We like some, we dislike some. But we should enjoy this journey, keep setting goals as this is what will keep us going, progressing further and make us feel alive! I LOVE IT! so much of what we THINK is what we become. I believe the part where you said find a trusted critic that will tell you what you need to hear instead of what you want to hear should be in BOLD …as so often we really just need someone to tell us the truth. Learning to take that without defense is something I have definitely had to work on! I love what you are doing here! Keep it up! I’m sharing…with a friend! Thanks Susan for your kind words. And taken your feedback ! Plan like an Adult and believe in it like a Child….I love! It is also very true! Susan is right, your thinking is what you become. I have tested it myself and it is very powerful. Great article about goals setting. I too must say that I love your line “Plan like an adult and believe in it like a child.” So simple and so true. People do make plans to achieve their goals. But almost everyone starts and stops quickly because they don’t know how to believe in something which is not there yet. Once again, amazing article! Thank you for this boost of confidence. All the best. Thanks Ivan. You have now given me an idea to write about “Faith” as you say that almost everyone starts and stops quickly because they don’t know how to believe in something which is not there yet. This needs not little, but lot of “Faith”!! Great article, very motivational! I absolutely love the line Plan like an Adult and believe in it like a Child. I often feel like I dream to big because others laugh and make negative comments about goals that I want to achieve. For quite some time I let it bother me and stepped back from trying to create my own success. But soon after I realized I feel worse not pursing what I want. Now I don’t care about the negativity from others, I believe like a child! I Like the goal strategy and often make a mind map to help me stay focussed and not get lost in all my ideas. I Love and Agree with this! It’s not easy to achieve your goals, but this post is very helpful with great tips and information on setting goals and achieving them. I too agree that setting goals can be one of the most important elements of your success in any endeavor you take on. I really appreciate how you outlined the different categories of goals, the fact that there are long and short term goals, and also that these goals need to be measurable and attainable. I think planning and being precise with goals, but having hope and belief like a child is a really good point as well. Often times as adults we start to take ourselves way too seriously. If you don’t really believe in what you’re working towards you are much less likely to achieve your goals. Thanks for the wonderful insight in this article. Keep up the good work and keep helping people to reach their goals. Dear Dalton, thanks very much for your comment. I a free with you that as adults, we take ourselves very seriously. As children, we were so innovative and un-inhibited. Children do the things they want to do without the fear of failing. As adults, we see ourselves through other’s eyes and perceived thoughts. I wish you all the best to achieve your goals. Dear Oana, I am glad you liked my article, Wishing you all the best to achieve your Goals for 2019 and years to come! This is awesome. This post is really informative and educative. It has become a source of motivation for me . “You can’t get everything thing you want” I love that because That is the bitter truth many people don’t want to agree to.i will strongly share this article for my friends to also get motivated from this. These are my favorite themes.The first step towards achieving what you want is to set yourself a goal and guidance on how to get to it. It only needs someone a little motivation and support to change their lives on better. It’s what matters, set yourself short-term and long-term goals, tends to them and don’t give up. Certainly, anyone who read this will increase his confidence. Great work!